Herta Oberheuser was a physician at the Ravensbrück concentration camp. 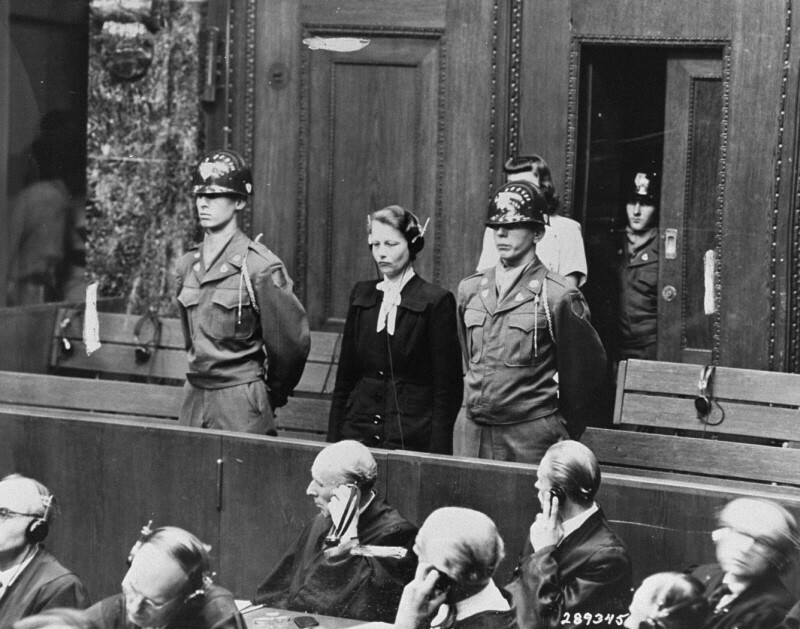 This photograph shows her being sentenced at the Doctors Trial in Nuremberg. Oberheuser was found guilty of performing medical experiments on camp inmates and was sentenced to 20 years in prison. Nuremberg, Germany, August 20, 1947.